Finding a troponin for renal injury has been the quest for the last 10 years for many researchers in Nephrology. A recent article in AJKD nicely summarizes this quest in a core curriculum review. 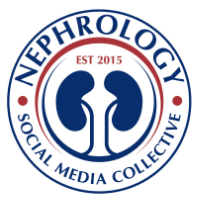 The lead author is from the renal fellow network. 1. Most biomarkers that have been discovered in the recent years have been mainly looking at proximal tubular injury and glomerular permeability. 2.While creatinine and albuminuria are always considered conventional, it was interesting to see that they included cystatin C as a conventional marker as oppose to novel. Clinically, doubt the use of this marker has blossomed yet. 4. The best part of the paper is the discussion of urinary versus serum biomarkers and how in certain cases urinary markers could be most helpful but there could be contamination. Serum biomarkers are excellent to have during anuric settings but are they specific for kidney injury? 5. There are many tables that are good to review to go over most of the new markers that have been evolving in the last 5 years.